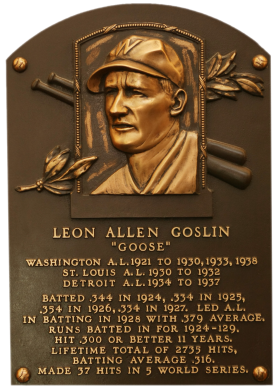 The best hitter ever to play for the Senators, Goose Goslin led Washington to its only three appearances in the World Series. 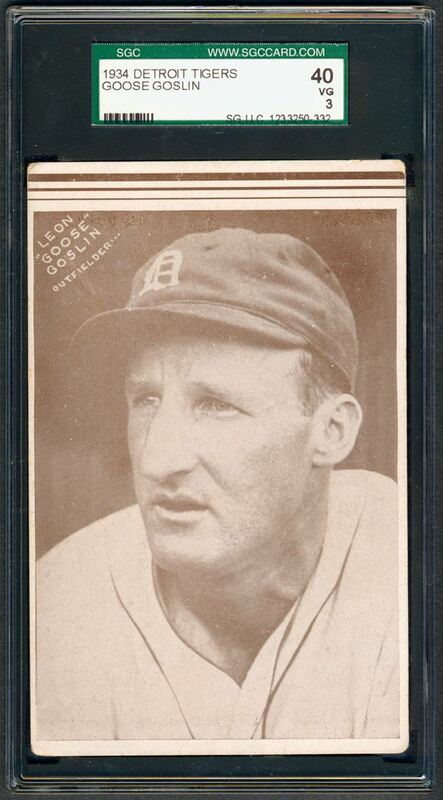 He slugged three home runs in both the 1924 and 1925 fall classics. Goose had 100 RBI or more and batted over .300 in 11 seasons. He excelled in the clutch, and in 18 seasons had 1,609 RBI, 2,735 hits, and a .316 average. Comments: In September, 2002 I purchased a PSA 5 1933 Goudey portrait card for Goose Goslin. It replaced a PSA 4 example. In December, 2003 it was upgraded to a PSA 6, and again to this PSA 7 in April, 2005. 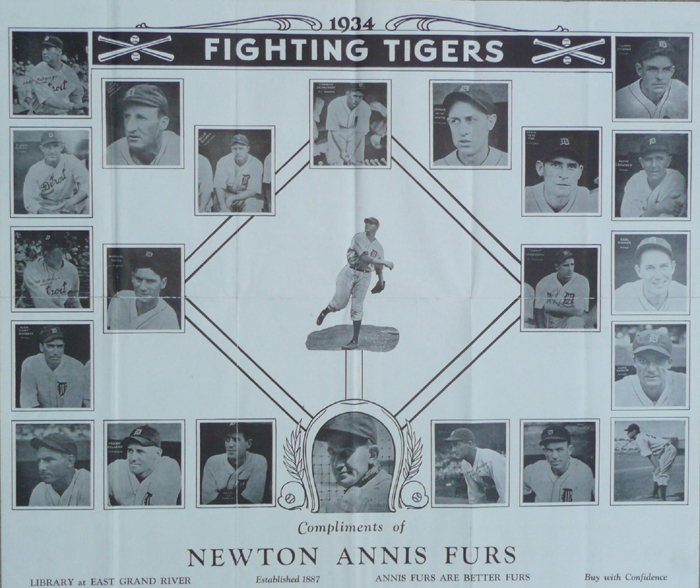 Sometime in 2009 I learned about the 1934 Annis Furs issue (formerly known as the Detroit Tigers Team issue) and decided to replace the Goudey with an example. After two years of searching I finally found a copy with the help of a hobby friend. In January, 2012 I acquired this beautiful SGC 40 card. Description: This set of blank-back, postcard-sized black and white player photo cards was presumed to have been a team issue for many years. Recently, the poster below was discovered and revealing the cards to be released by Annis Furs as a store promotion. Photos have white borders with the wider top border having three stripes. 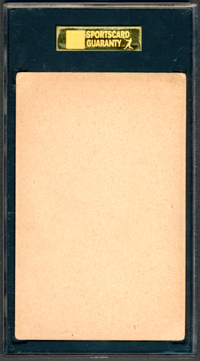 Player name and position are printed within the picture.